Western Power Distribution (WPD) launches mobile App that enables customers to report a power cut at the touch of a button. 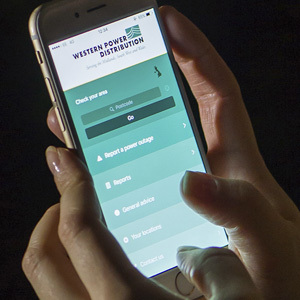 Western Power Distribution (WPD) has launched a mobile App that enables customers to report a power cut at the touch of a button. It will also provide instant, up-to-date access to information on power cuts affecting its distribution area. The Power Cut Reporter app is free, quick and simple to use. It also enables customers who may require a priority service, to register, and includes safety tips and has the capability to store multiple postcodes. “WPD is committed to providing the best possible service for customers and we hope that they will find our new mobile app a useful addition to the range of resources that are currently available,” said Paul Bishop, WPD Corporate Communication Manager. The Power Cut Reporter app is available to download on the App Store and Google Play.